Kansai Tour: Osaka, Nara and Kyoto! Just when you think Tokyo wasn't crazy enough, there are crazier places one bullet train ride away! I love the slow pace of the Kansai Region, and it's full of so many new things that you can't help but fall in love. On to the tour! I'll be talking about this like you've taken the bullet train from Tokyo (as people are wont to do). It's really easy to navigate around the region, as there are less trains. KYOTO After about a two hour ride, get off at Kyoto Station and leave your major luggage in lockers (or the baggage counter if there's none left. I love Kyoto Station, it looks like a Star Wars Spaceport! There's a cool food court a short way across if you're hungry for lunch. Fushimi Inari Shrine We arrived in Kyoto after lunch, and so had to choose between Fushimi or the Bamboo Forests (something to come back to next time), but Fushimi Inari is one of those places you can't miss! The temple of a thousand toris, each dedicated to a person or group who sponsored the temple--is surreal to walk through, even in the winter. Definitely one of my favorite places in the world. Getting there: from Kyoto station, ride the JR Nara Line (you know it's the right train when it's the old kind, the one with ceiling fans inside) to JR Inari Station. The shrine is just up ahead. Yasaka Shrine Not too far from Gion is Yasaka Shrine. When we were here, they were gearing up for the New Year, so it was mostly full of food stalls and game booths. But the temple still had a lot of charm. From here, we walked up to Maruyama Park, then right into the preserved historic streets to Kiyomizudera Temple. 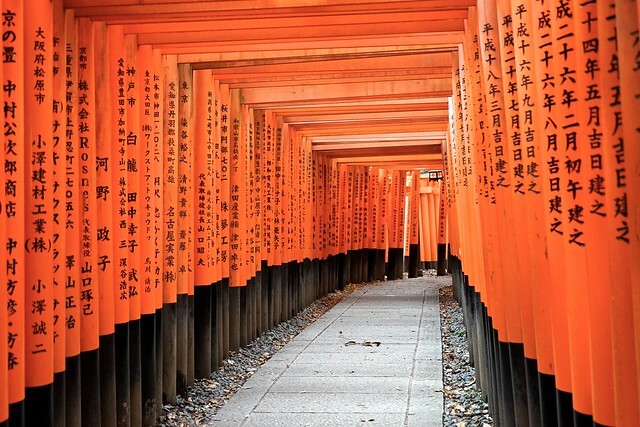 Getting There: From Fushimi Inari, (take the path off to the right when exiting the temple until you see another train station) take the Keihan Line to Gion-Shijo. 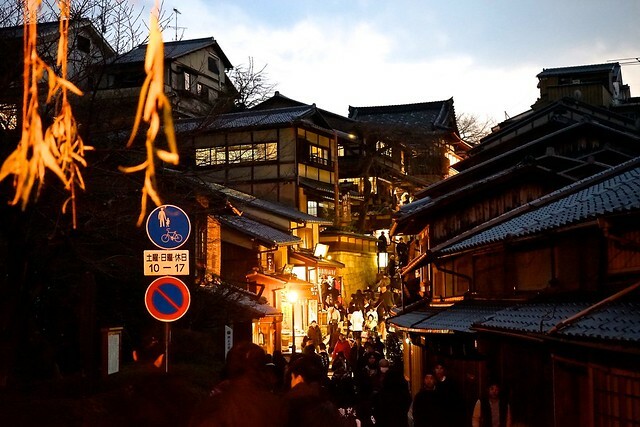 Walk down the street (pass Gion!) 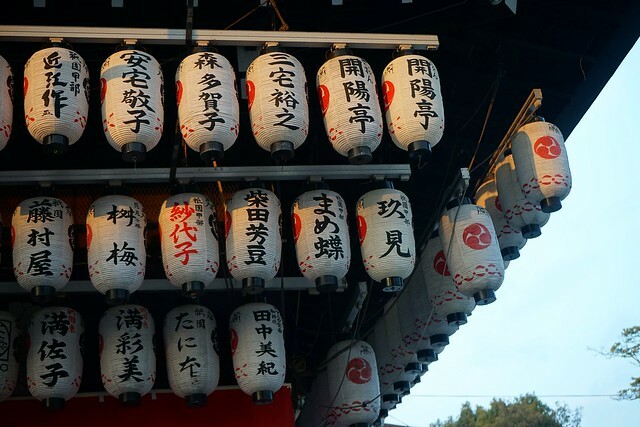 and you should see Yasaka Shrine up ahead. Ninenzaka/Sannenzaka Stairs We made it to the preserved historic streets just as the sun set, so we managed to hufff and puff our way through the steps in the twilight. It's so beautiful! Gorgerous little shops selling food and touristy things (I snagged green tea here), and you wish you had days to explore it all. My parents bought watercolor post cards of this place in a small cafe. And there are geisha walking around! Young maikos will happily take photos with you, but the older, more experienced geisha will not even bother. We were supposed to walk around Kiyomizudera Temple too, but it was closed by the time we got there. Boo. But the view was so gorgeous we ended up sitting on the steps and looking out at Kyoto. NARA We used Osaka as our home base, so we took the train to Osaka from Kyoto and headed off to Nara for a day on our own. 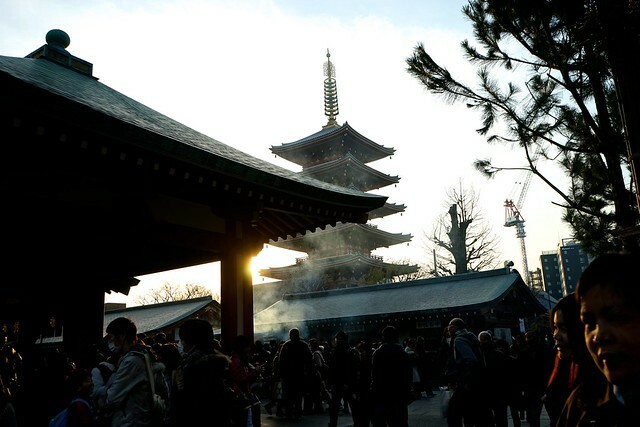 Nara was a completely different side of Japan, showing a different side of Japanese religion. And of course. Deer. Getting there: From Osaka, get to the Kintetsu Namba Station. Ride the Kintetsu line to Nara. 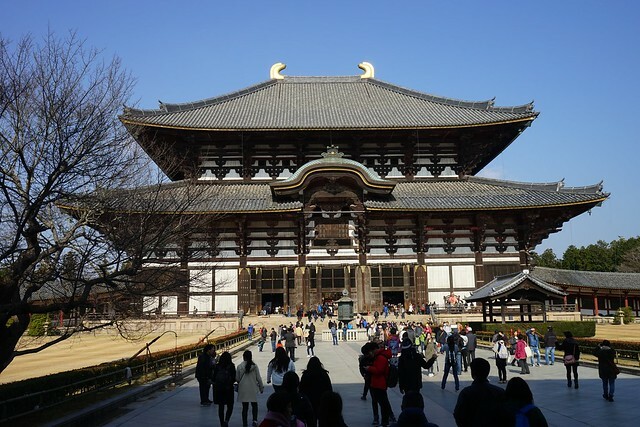 A short taxi ride from the Nara Kintetsu station is Todaiji Temple, home of Daibutsu, the big Buddha. I love this temple. 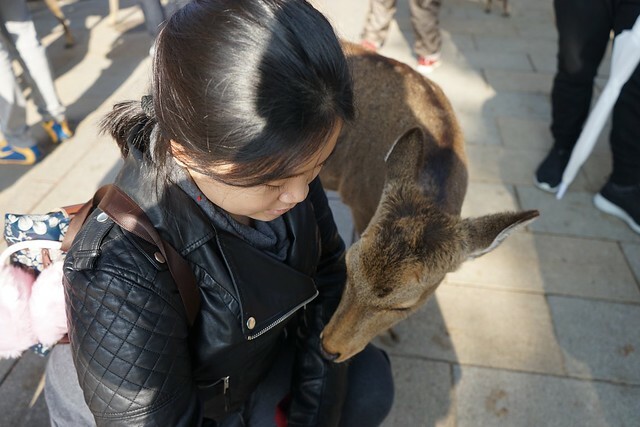 The walk inside had a lot of food stalls and snacks for the New Year, and there were deer all over! They're friendly enough animals, just make sure you don't have anything loose on you--those guys will chew on anything! Feed the deer a few crackers at your own risk--they will nip at anything just for those treats! It's a quick walk inside the temple (don't miss the giant Buddha hand!) but the park and the temple is such a contrast to the vermilion tori gates in Kyoto. From Todaiji, we simply walked down back to the train station. It's a nice route along Nara, and you get a good view of some of the other temples too. One of my favorite things in Nara was this small complex beside the Todaiji Temple entrance (facing the temple, it's just to the right). We found a nice tempura and soba place there, as well as a Mahoroba Daibutsu Puddinghonpo shop! 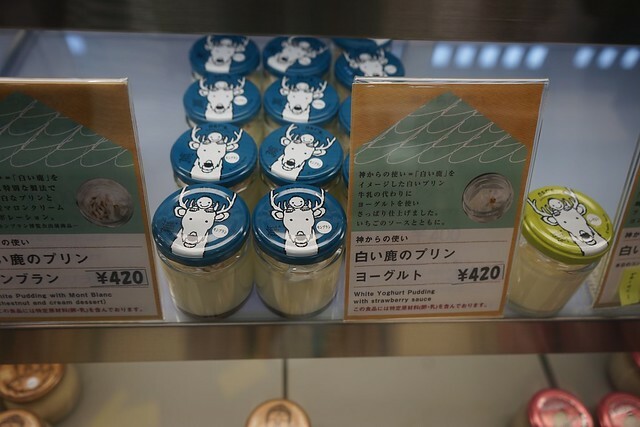 It's this cute pudding brand that makes smooth, velvety and creamy pudding in the cutest jars. I had the Godiva chocolate one, and it was divine! I keep the jar for painting. :) Don't miss this shop! But in case you did, there's one in the MRT Station near the restrooms. OSAKA Hello home base! 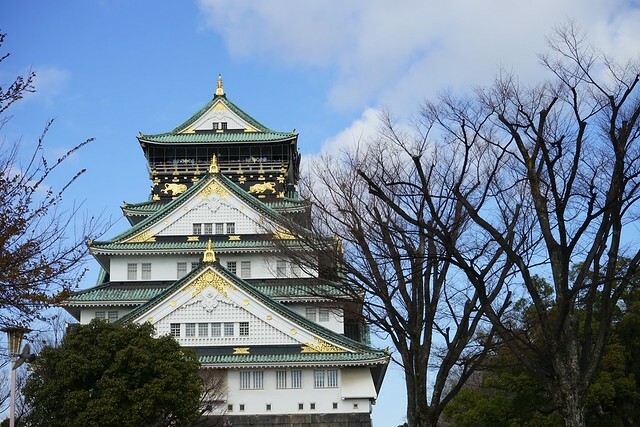 Osaka is a big city--like Tokyo, you never seem to run out of places to see. But once you've made your pilgrimage to Harry Potter in Universal Studios (because let's face it, that's why you went, right? ), there's a lot in the city itself to explore. 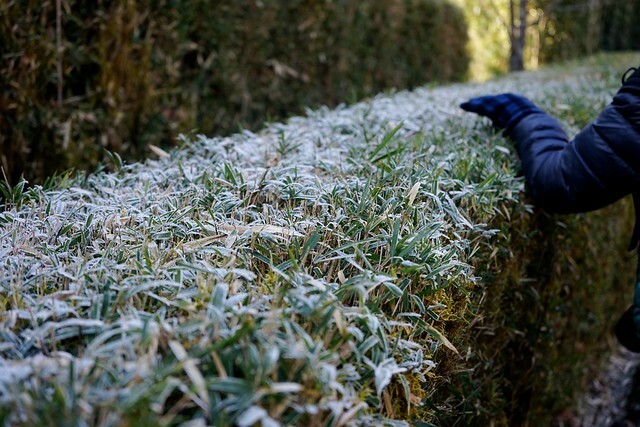 We were here at the height of New Year, where all the stores were on sale and it was so cold that it started snowing! Osaka Castle By the time we got around to exploring Osaka Castle, all we really wanted to do was hang around and try street food. It's larger than I expected it to be, and outside there's a small line of shops where you can play archery, throw ninja stars and grab a few souvenir items! More than the castle, I liked people watching here--there were a lot of locals visiting, if only to hang around the grounds! Getting There: Head to the Tanimachi 4-chrome Station along the Tanimachi or Chuo Subway line. The castle is behind the NHK Broadcasting Museum (a pretty cool building to photograph too! 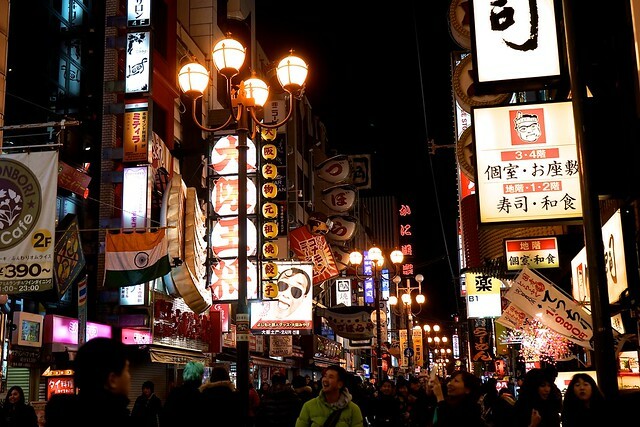 Shinsaibashi and Dotonbori Now that you've done your fair share of touring castles and temples, it's time to hit the shops! 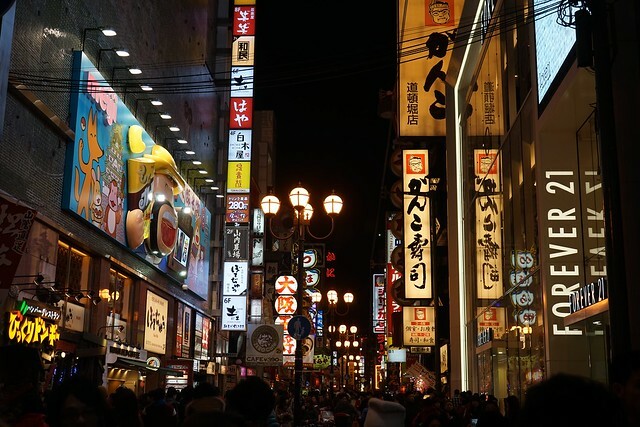 Shinsaibashi was the craziest shopping place I've ever been to--and I live in Manila! Shinsaibashi for us was a giant row of wonder, with H&M, Monki, Tokyu Hands and ABC Mart to keep us entertained. A quick stop of Pablo for cheesecake, and tucking into a small store on the other side for gyoza (yumyum!). Then when you reach Dotonbori canal to say hi to the Glico Man, you spot the biggest Don Quijote ever! GAH. I love this place. Emerge via the Crysta Nagahori exit at the MRT (I love that name for a mall) and walk down the covered path for the shopping (H&M should be on the right and Uniqlo across it). Tokyu Hands should be behind you across the street. Don't miss Ichiran Ramen on Dotonbori canal (turn right when you reach the bridge with the Glico Man), where you eat your ramen inside a stall by yourself and to really absorb the flavors. It's quite amazing, and it's OPEN 24/7. The worst thing about going somewhere is immediately wanting to go back! Well, it finally happened! After three long years of talking about it and mentioning it casually in conversation, our family has finally made it and come back from a whirlwind trip to Japan. I have to admit that I've fallen in love with this country and their own way of doing things, the way they smile and bow politely but aren't afraid to push and shove...it's been a wonderful trip, and I can't wait to share our itinerary with you! Sidenote: Due to the large number of our party (a family of 12, man) and it being our first time, our family decided to join a tour for this trip. But when tours proved too expensive and not too comprehensive, we found Rolf of the Madrid Travel Club. He was a godsend to us, helping us navigate through bustling Tokyo, helping my sister with her Japanese, giving us tons of information on Japan and most importantly, letting us go on our own pace and helping us find spots we never would have found on out own. If you're a first-timer and a little bit nervous, I definitely recommend joining a trip with him! Note on the Trains: One of the most scary things about going to Tokyo for us, was the MRT system. I've heard that it's not unlike tossing a bowl of noodles on the ground and attempting to navigate your way from one end to the other. You have to imagine, this is everything the world knows about MRT systems plus crazy Japanese efficiency thrown in. Rolf sped through them like an expert, and he gave us a few tips. First that there are three kinds of trains in their metro system: the rapid, the local, and the express. All of which, operate on the same platforms. The local trains are the trains as we know them--the ones that stop on every stop. These usually operate on 'public' lines--ones without JR on them. The rapid trains stop one in every few trains--you'll have to check the maps to make sure that they'll be stopping on the stop you want. The express trains stop over long distances, and are usually the ones you take when travelling long distances. When taking the train, you have to make sure you get on the right platform. These are usually marked on the animatronic boards over the station. For example, if we were going to Maihama on a rapid train, we'd have to check the board to know which side of a single platform the train will appear in. It will be marked Rapid Train---Maihama---1-8 O, meaning that we'll have to stand on the floor stickers marked from 1O to 8O to make sure we're getting on the right train. Confusing, I know, and not easy with a large group. But you get the hang of it eventually. Waste no day in Japan, right? 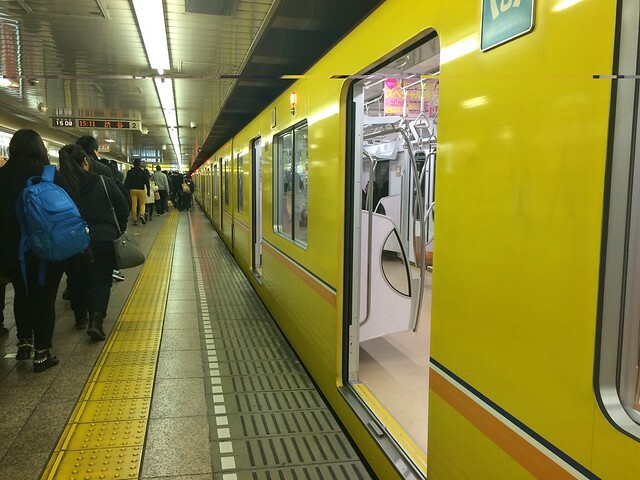 When we arrived at Narita Airport (as all Cebu Pacific flights are), we just missed the JR Narita Express Train and ended up taking the trip with 2 transfers to get to Shinjuku. But the JR Narita Express is still the fastest way to get to Tokyo. We stayed at the Toyoko Inn in Shinjuku. As hotels go, it was perfectly comfortable--small but comfy, but more on the hostel side than hotel. It was about a ten minute walk from Shinjuku Station when we exited from Lumine Mall near Kabukicho (I couldn't tell you which exit as there are about 200!!). They had free breakfast, fast wi-fi and a 7-11 right outside their door, so we were sold! I believe a room per night goes to about 6,000 yen (that's approximately Php 2,000) for a double room. Shinjuku as an area was...an experience. 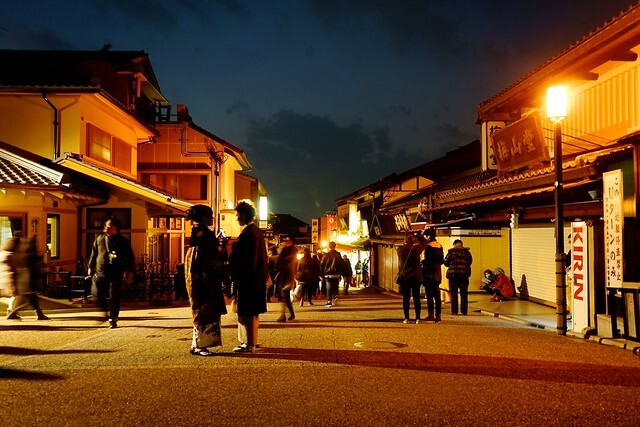 It's definitely one of the wilder places in Tokyo, bustling with millions of people on the weekends, and the train lines can get crowded on Friday nights. 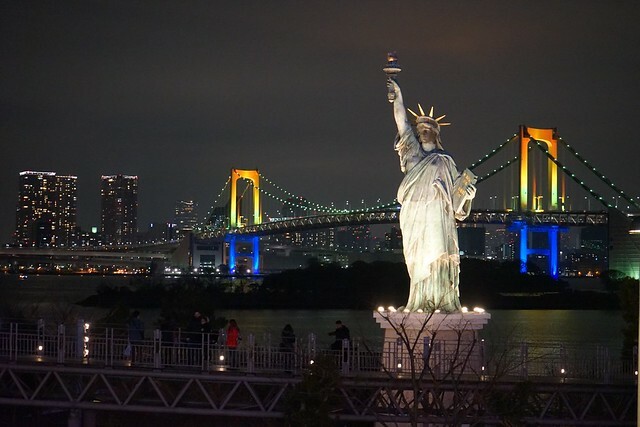 But that's where you most feel the vibrancy of Tokyo, and come to the understanding that what you know as a big city is an understatement compared to this. It's full of karaoke bars and nightclubs, and all in all, not a bad place to chill. If you have time, be sure to check out Sekaido nearby! It fulfilled all of our crafty/artsy dreams, and it was six floors! SIX FLOORS. With the exchange rate what it was, everything was basically 1/3 of the price, so we cleaned up. This flagship store is a short walk from the Uniqlo store in Shinjuku. Now don't get tired yet! It's only been half a day! 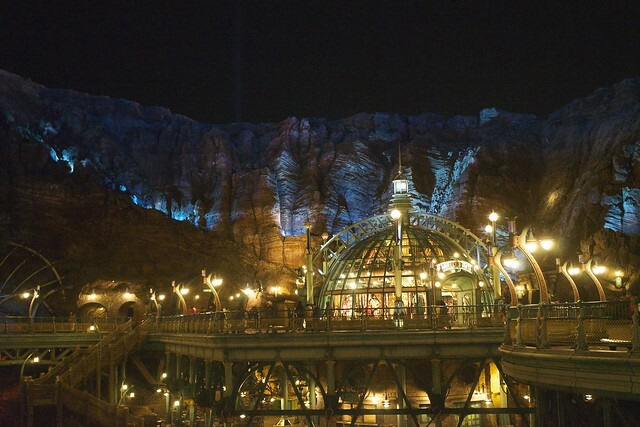 If you're feeling up for it, why not a quick trip to Disneyland? Tokyo Disneyland and Tokyo DisneySea both have this promo where you can get tickets at less than half the price when you enter after 6pm. If you're into getting on specific rides, this is the ticket for you! We went to DisneySea for the heck of it and managed to get a lot of things done while we were there--the others rode the Journey to the Center of the Earth ride, Rowell and I got to watch Fantasmic (which brought tears to my eyes, I gotta tell you), 20,000 Leagues Under the Sea and StormRider and we squeezed in a bit of exploring before the park closed at 10pm. And it was a holiday, so there were quite a few people there! Getting there: From Shinjuku, take the JR Chuo Line's Rapid Train to Tokyo Station, then transfer to the Keiyo Line's Maihama Station (if you take an express train, it should be the 3rd stop). Once you hear Disney music playing over the speakers, you know you're in the right place. From Maihama, just follow the crowds to the Disneyland monorails. Easy peasy. 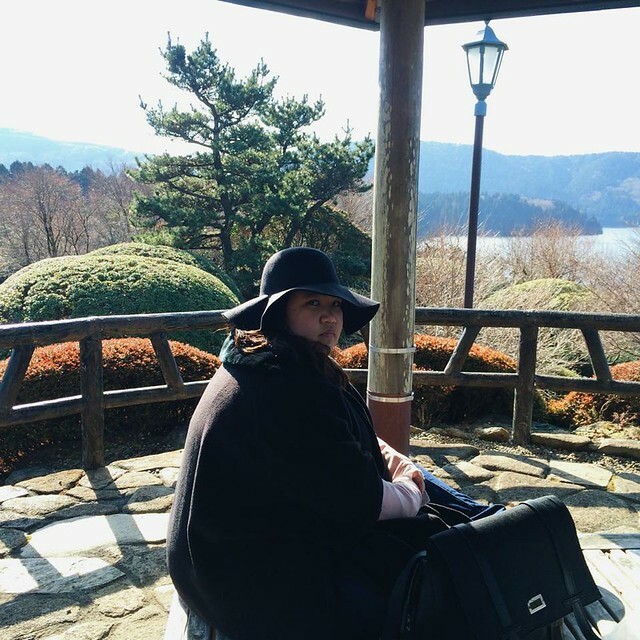 When we were first planning the trip, I was kind of adamant that we skip Hakone. I figured we could see Mt. Fuji from Tokyo anyway, so why bother? Well, I would like to say that I put my foot in my mouth for that. Hakone is much more than just Mt. Fuji! We were lucky we got there on a clear day just before the rains. It was so beautiful and well worth the excursion. From Shinjuku, we boarded the train to the Odakyu Railway to get to Hakone. From Shinjuku station, we purchased the Hakone Free Pass, a round trip ticket that is valid for the train to Hakone, cable Ropeway up the mountain, buses, cruise and the tram within the area. It goes to about 5,000 yen, and it's well worth it to use for the whole day. After a two hour ride on the subway, you will end up on Odawara station (unless you chose to go by Romance Car). Use your free pass to get on the bus system and get off at Onshi Hakone Koen Mae. It should look like a parking lot with a set of ascending stairs. Climb those stairs and walk through the park to catch a glimpse of Hakone Detached Palace. 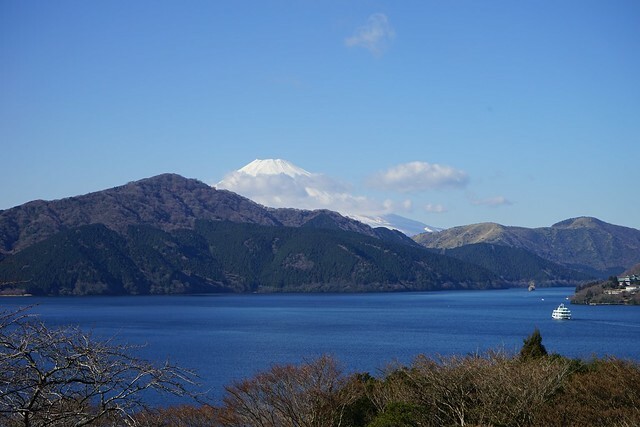 From there, the view of Lake Ashi and Mt Fuji should be spectacular. We stopped for lunch at the pier before boarding a faux pirate ship to cross Lake Ashi, stopping at Togendai-ko. From there, we took the ropeway (cable car!) up to Sounzan Station, which stopped at Owakudani, a mountain teeming with sulfur smells and black eggs. The whole cable car ride was about 30 minutes long, and looked gorgeous as the sun set! The last cable car left Sounzan at 4pm, which made the whole view breathtaking as we descended back to Gora Station. From Gora we took the train back to Odawara and back to Shinjuku--all on the Hakone Free Pass. We made it back to Shinjuku in time for dinner! Now it's time to explore a bit of Tokyo. Can you believe we haven't really gone around the city? 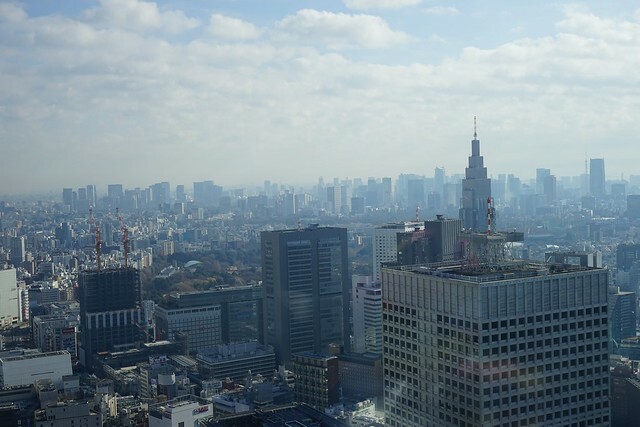 We started our day on the Tokyo Metropolitan Government Building, complete with command center in case of disasters. What we liked about this place is that offers fantastic views of the city, and it's free! From here, we saw Tokyo Tower, Tokyo Skytree, Mount Fuji, Meiji Shrine and all the other highlights of the city. Getting there: Take the Toei Sunjuku line to Tochomae Station. The building is right behind the exit. After seeing the gorgeous city views, it's time to get down and go around the city. 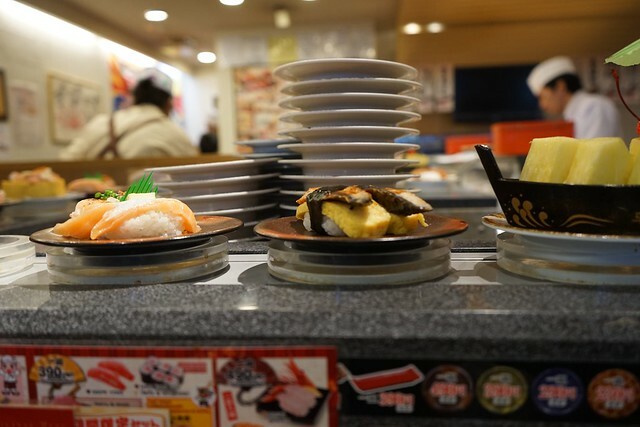 We stopped at Omotesando Hills for lunch at a revolving sushi place with Filipino staff (Heiroku Sushi was the best!) then walked on to Magnolia Cupcake Bakery for the best cupcakes in the world (can't miss it!). 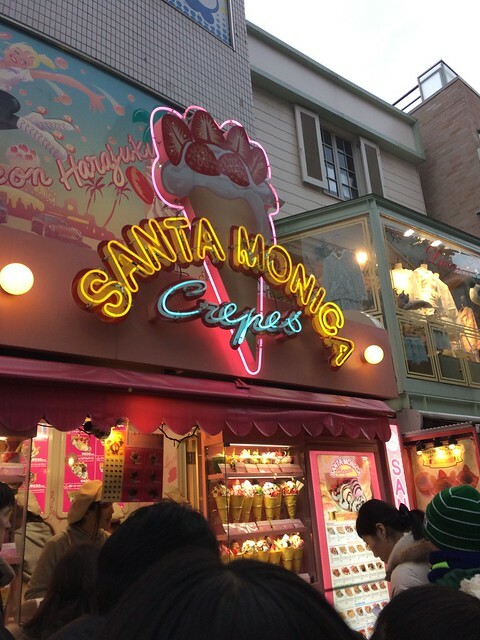 Omotesando is kind of like Tokyo's new Gangnam district, lined with high class shops. We stopped by the Oriental Bazaar for a few antiques for my parents, then Totoro merchandise at Kiddie Land on the same street. I still dream of those cupcakes. After Harajuku, we crossed to the other side of Tokyo to Odaiba--described as islands of shopping malls. It has a cool, boardwalk feel to it, and reminded me a lot of Macau. Here, we went to Decks' old-fashioned shopping area. It was modeled after Tokyo in the 50s and 60s, and sold things that would have typically been seen at that time. Pretty cool. Then we went to shopping, since EVERYTHING WAS ON SALE. 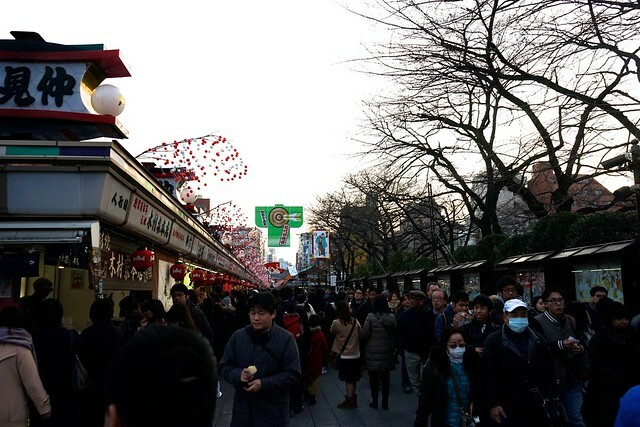 Asakusa and Ginza are classic stops for every tourist in Japan. You can tell that I'm becoming a bit more lazy with my writing. But hopefully, the photos speak for themselves. It's a beautiful area, full of little knicknacks you just can't find anywhere in the world. I got a couple of postcards too! We headed to Osaka, Kyoto and Nara the next day. But I'm saving that adventure for another time!